This page presents four selections of fragments from Trotsky’s writings. Section 1 presents some of the key passages setting out the theory of uneven and combined development, together with the modification it requires of the Marxist understanding of the international spread of capitalism. Section 2 concentrates on Trotsky’s account of the developmentof the world market as an international process, including some suggestions as to its implications for the geopolitical relations between states. Section 3 looks at how he applied the theory of uneven and combined development to the specific case of Czarist Russia in order to explain the Russian revolution as an historical event. Finally, Section 4 contains some reflections on intellectual method – including Trotsky’s exposition and defense of ‘dialectics’. 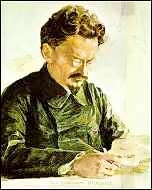 For a fuller digest of relevant quotations from Trotsky’s writings, organised by source, click here: Trotsky Digest. 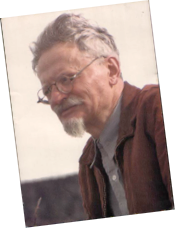 If you know of other Trotsky quotations which are significant for the idea of uneven and combined development, please enter them in the comments box at the end of this page. A backward country assimilates the material and intellectual conquests of the advanced countries. But this does not mean that it follows them slavishly, reproduces all the stages of their past. The theory of the repetition of historic cycles – Vico and his more recent followers – rests upon an observation of the orbits of old pre-capitalistic, and in part upon the first experiments of capitalist development…. Capitalism means, however, an overcoming of those conditions. It prepares and in a certain sense realizes the universality and permanence of man’s development. By this a repetition of the forms of development by different nations is ruled out. Although compelled to follow after the advanced countries, a backward country does not take things in the same order. The privilege of historic backwardness – and such a privilege exists – permits, or rather compels, the adoption of whatever is ready in advance of any specified date, skipping a whole series of intermediate stages. Savages throw away their bows and arrows for rifles all at once, without traveling the road which lay between those two weapons in the past. The European colonists in America did not begin history all over again from the beginning. The fact that Germany and the United States have now economically outstripped England was made possible by the very backwardness of their capitalist development…. The development of historically backward nations leads necessarily to a peculiar combination of different stages in the historic process. Their development as a whole acquires a planless, complex, combined character. The possibility of skipping over intermediate steps is of course by no means absolute. Its degree is determined in the long run by the economic and cultural capacities of the country. The backward nation, moreover, not infrequently debases the achievements borrowed from outside in the process of adapting them to its own more primitive culture. In this the very process of assimilation acquires a self-contradictory character. Thus the introduction of certain elements of Western technique and training, above all military and industrial, under Peter I, led to a strengthening of serfdom… European armament and European loans – both indubitable products of a higher culture – led to a strengthening of Czarism, which delayed in its turn the development of the country. …capitalism in Russia did not develop out of the handicraft system. It conquered Russia with the economic culture of the whole of Europe behind it, and before it, as its immediate competitor, the helpless village craftsman or the wretched town craftsman, and it had the half-beggared peasantry as a reservoir of labour-power. Absolutism assisted in various ways in fettering the country with the shackles of capitalism. To define the Soviet regime as transitional, or intermediate, means to abandon such finished social categories as capitalism (and therewith ‘state capitalism’) and also socialism…. The soviet union is a contradictory society half-way between capitalism and socialism… Doctrinaires will doubtless not be satisfied with this hypothetical definition. They would like categorical formulae… Sociological problems would certainly be simpler if social phenomena had always a finished character. There is nothing more dangerous, however, than to throw out of reality, for the sake of logical completeness, elements which today violate your scheme and tomorrow may wholly overturn it. In our analysis, we have above all avoided doing violence to dynamic social formations which have no precedent and have no analogies. The scientific task, as well as the political, is not to give a finished definition to an unfinished process, but to follow all its stages, separate its progressive from its reactionary tendencies, expose their mutual relations, foresee possible variants of development, and find in this foresight a basis for action. I will here attempt to sketch the substance of the problem in a very concise form. The Aristotelian logic of the simple syllogism starts from the proposition that “A is equal to A.” This postulate is accepted as an axiom for a multitude of practical human actions and elementary generalisations. But in reality A is not equal to A. This is easy to prove if we observe these two letters under a lens – they are quite different from each other. But, one can object, the question is not of the size or the form of the letters, since they are only symbols for equal quantities, for instance, a pound of sugar. The objection is beside the point; in reality a pound of sugar is never equal to a pound of sugar – a more delicate scale always discloses a difference. Again one can object: but a pound of sugar is equal, to itself. Neither is this true – all bodies change uninterruptedly in size, weight, colour, etc. They are never equal to themselves. A sophist will respond that a pound of sugar is equal to itself “at any given moment.” Aside from the extremely dubious practical value of this “axiom,” it does not withstand theoretical criticism either. How should we really conceive the word “moment”? If it is an infinitessimal interval of time, then a pound of sugar is subjected during the course of that “moment” to inevitable changes. Or is the moment” a purely mathematical abstraction, that is, a zero of time? But everything exists in time; and existence itself is an uninterrupted process of transformation; time is consequently a fundamental element of existence. Thus the axiom “A is equal to A” signifies that a thing is equal to itself if it does not change, that is, if it does not exist. At first glance it could seem that these “subtleties” are useless. In reality they are of decisive significance. The axiom “A is equal to A” appears on one hand to be the point of departure, for all our knowledge, on the other hand the point of departure for all the errors in our knowledge To make use of the axiom “A is equal to A” with impunity is possible only within certain limits. When quantitative changes in A are negligible for the task at hand, then we can presume that Ais equal to A. This is, for example, the manner in which a buyer and a seller consider a pound of sugar. We consider the temperature of the sun likewise. Until recently we considered the buying power of the dollar in the same way. But quantitative changes beyond certain limits become converted into qualitative ones. A pound of sugar subjected to the action of water or kerosene ceases to be a pound of sugar. A dollar in the embrace of a president ceases to be a dollar. To determine at the right moment the critical point where quantity changes into quality is one of the most important and difficult tasks in all the spheres of knowledge, including sociology. Every worker knows that it is impossible to make two completely equal objects. In the elaboration of bearing brass into cone bearings, a certain deviation is allowed for the cones, which should not, however, go beyond certain limits (this is called “tolerance”). By observing the norms of tolerance, the cones are considered as being equal. (A is equal to A.) When the tolerance is exceeded the quantity goes over into quality; in other words, the cone bearings become inferior or completely worthless. Our scientific thinking is only a part of our general practice including techniques. For concepts there also exists ‘tolerance’, which is established not by formal logic issuing from the axiom “Ais equal to A”, but by dialectical logic issuing from the axiom that everything is always changing. ‘Common sense’ is characterised by the fact that it systematically exceeds dialectical ‘tolerance’. Vulgar thought operates with such concepts as capitalism, morals, freedom, workers’ state etc. as fixed abstractions, presuming that capitalism is equal to capitalism, morals are equal to morals etc. Dialectical thinking analyzes all things and phenomena in their continuous change, while determining in the material conditions of those changes that critical limit beyond which Aceases to be A, a workers’ state ceases to be a workers’ state. The fundamental flaw of vulgar thought lies in the fact that it wishes to content itself with motionless imprints of a reality which consists of eternal motion. Dialectical thinking gives to concepts, by means of closer approximations, corrections, concretizations, a richness of content and flexibility; I would even say a succulence which, to a certain extent, brings them close to living phenomena. Not capitalism in general, but a given capitalism at a given stage of development. Not a workers’ state in general, but a given workers’ state in a backward country in an imperialist encirclement etc. Dialectical thinking is related to vulgar thinking in the same way that a motion picture is related to a still photograph. The motion picture does not outlaw the still photograph but combines a series of them according to the laws of motion. Dialectics does not deny the syllogism, but teaches us to combine syllogisms in such a way as to bring our understanding closer to the eternally changing reality. Hegel in his [Science of] Logic [1812-16] established a series of laws: change of quantity into quality, development through contradictions, conflict of content and form, interruption of continuity, change of possibility into inevitability, etc., which are just as important for theoretical thought as is the simple syllogism for more elementary tasks. Hegel wrote before Darwin and before Marx. Thanks to the powerful impulse given to thought by the French Revolution, Hegel anticipated the general movement of science. But because it was only an anticipation, although by a genius, it received from Hegel an idealistic character. Hegel operated with ideological shadows as the ultimate reality, Marx demonstrated that the movement of these ideological shadows reflected nothing but the movement of material bodies. We call our dialectic, “materialist” since its roots are neither in heaven nor in the depths of our “free will,” but in objective reality, in nature. Consciousness grew out of the unconscious, psychology out of physiology, the organic world out of the inorganic, the solar system out of nebulae. On all the rungs of this ladder of development, the quantitative changes were transformed into qualitative. Our thought, in including dialectical thought, is only one of the forms of the expression of changing matter. There is place within this system for neither God, nor Devil, nor immortal soul, nor eternal norms of law and morals. The dialectic of thinking, having grown out of the dialectic of nature, possesses consequently a thoroughly materialist character. Darwinism, which explained the evolution of species through quantitative transformations passing into qualitative, was the highest triumph of the dialectic in the whole field of organic matter. Another great triumph was the discovery of the table of atomic weights of chemical elements and, further, the transformation of one element into another. With these transformations (species, elements, etc.) is closely linked the question of classification, equally important in the natural as in the social sciences. [The Swedish naturalist Carolus] Linnaeus’ system (eighteenth century), utilizing as its starting point the immutability of species, was limited to the description and classification of plants according to their external characteristics. The infantile period of botany is analogous to the infantile period of logic, since the forms of our thought develop like everything that lives. Only decisive repudiation of the idea of fixed species, only the study of the history of the evolution of plants and their anatomy prepared the basis for a really scientific classification. Marx, who in distinction from Darwin was a conscious dialectician, discovered a basis for the scientific classification of human societies in the development of their productive forces and the structure of the relations of ownership which constitute the anatomy of society. Marxism substituted for the vulgar descriptive classification of societies and states, which even up to now still flourishes in the universities, a materialistic dialectical classification. Only through using the method of Marx is it possible correctly to determine both the concept of a workers’ state and the moment of its downfall. All this, as we see, contains nothing “metaphysical” or “scholastic,” as conceited ignorance affirms. Dialectic logic expresses the laws of motion in contemporary scientific thought. The struggle against materialist dialectics on the contrary expresses a distant past, conservatism of the petty bourgeoisie, the self-conceit of university routinists and … a spark of hope for an afterlife. To download a Digest of relevant quotations from Trotsky’s writings, click here. Alexander Anievas and Kerem Nişancıoğlu's How the West Came to Rule: The Geopolitical Origins of Capitalism has been awarded the 2017 book prize from the International Political Sociology Section of the ISA and the BISA IPEG 2016 best book prize. The book uses the theory of uneven and combined development to provide a non-Eurocentric analysis of the 'rise of the West'. "How the West Came to Rule offers a unique interdisciplinary and international historical account of the origins of capitalism. It argues that contrary to dominant wisdom, capitalism’s origins should not be understood as a development confined to the geographically and culturally sealed borders of Europe, but the outcome of a wider array of global processes in which non-European societies played a decisive role. Through an outline of the uneven histories of Mongolian expansion, New World discoveries, Ottoman-Habsburg rivalry, the development of the colonies, and bourgeois revolutions, Alex Anievas and Kerem Nisancioglu offer an account of capitalism’s origins that convincingly argues against the prevailing Eurocentric narratives."